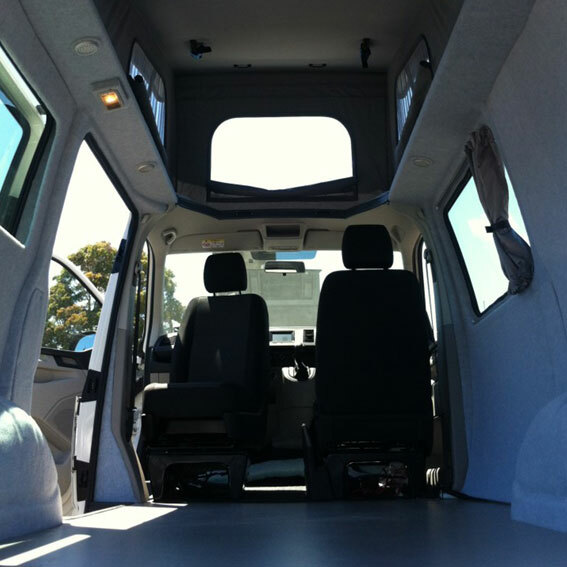 Carpeting and insulation of the interior (choose your carpet colour). 12 or 240 volt Electrics (leisure battery system, 240 volt power outlets, internal lights, plus reading lights). Plumbing (40 litre water tank, stainless steel sink and tap). Fridge (50, 65 or 80 litre). 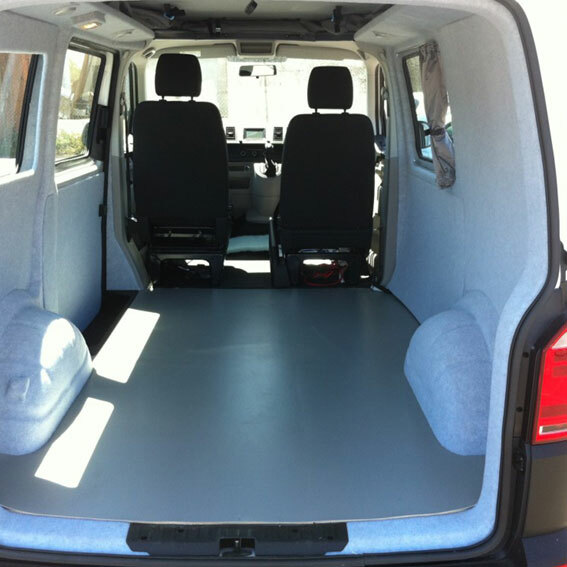 European style pop top roof with option of roof bed to sleep two children or one adult. Rock and roll bed with or without seatbelts (legally carry two passengers while driving with child restraints included). Download the single item pricelist here. 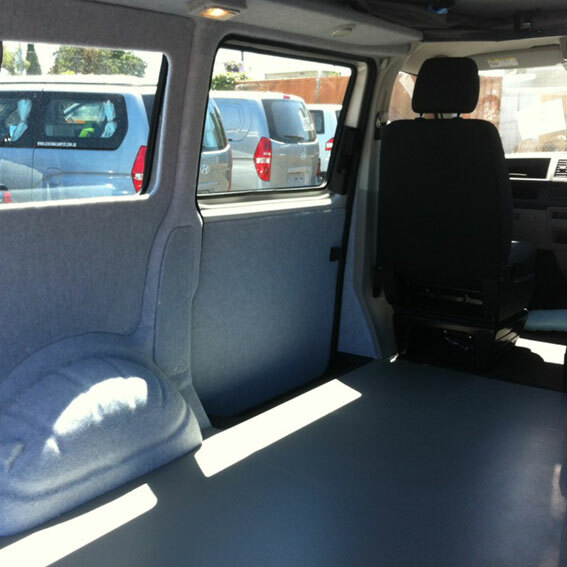 Want to do a complete DIY campervan conversion but need to purchase a new VW T6 to fitout yourself? 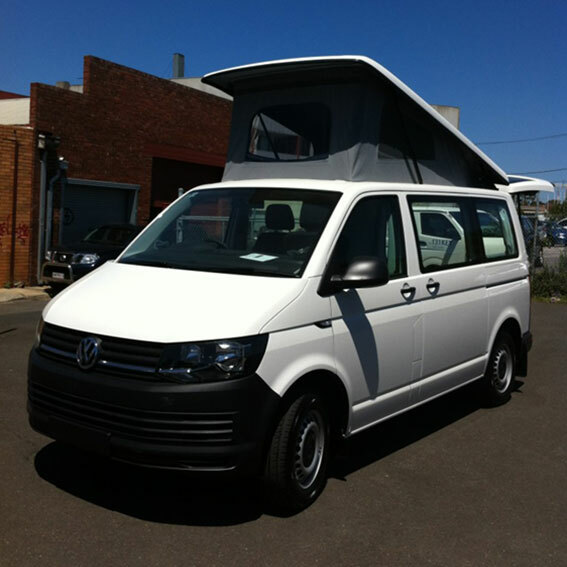 We are a licensed car dealership (LMCT) and can also sell you a new empty VW T6 at a discounted price. Contact us now for your new vehicle quote. 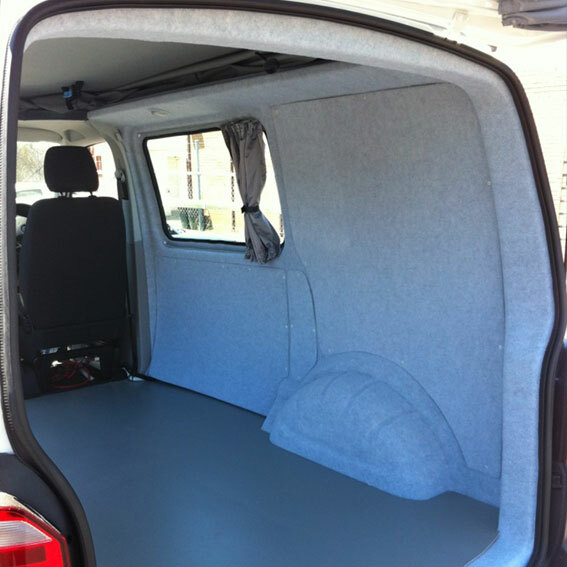 A new VW T6 Achtung Camper DIY campervan shell just waiting for its new owners to start work!